3 Bedroom Detached House For Sale in Bicester for Offers Over £350,000. Taylors Estate Agents are delighted to offer for sale a fantastic three bedroom within a highly popular area of Bicester. The property comprises of entrance lobby, large lounge, kitchen, utility area, WC and conservatory to the ground floor. The first floor comprises of three double bedrooms with built in wardrobes, walk in wardrobe and four piece bathroom. 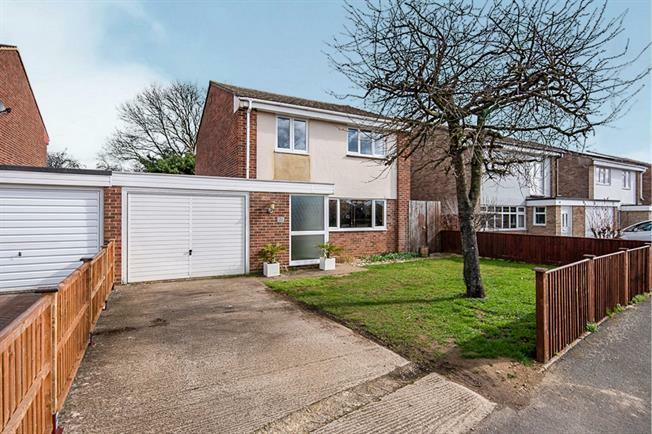 Outside the property boasts enclosed front garden with driveway and single garage. Side gated access to the rear of the garden which is mainly laid to lawn and patio area.